The EVG UV AC series are adjustable, AC ELECTRONIC BALLAST UNITS for UV-lamps. Avaliable from approx. 1kw-20kw nominal power and specfically designed for industrial use. SPecifically tuned to operate with mercury discharge UV-lamps. Dark phases during the zero axis known from standard, sinus shaped power supplies are eliminated by operating the lamps with a square-wave current. The EVG UV 20-42 AC is a fully electronic, adjustable AC ballast unit for UV-lamps from approx. 0.5 kW – 2 KW nominal power and specially designed for industrial use. It is specially tuned to operate with mercury discharge UV-lamps of 5 – 45 cm (2” – 17”) arc length. Dark phases during the zero axis known from standard, sinus shaped power supplies are eliminated by operating the lamps with a square-wave current.Principle of function of the electronic ballast unit EVG UV 20-42 AC is an adjustable constant current source in the range of 1,5 A to 13 A. The lamp power is regulated to a constant value by an internal regulation unit through an external DC 0 – 10 V rated value. The EVG UV 26-70 AC is a fully electronic, adjustable AC ballast unit for UV-lamps from approx. 1.0 kW – 2.6 kW nominal power and specially designed for industrial use. It is specially tuned to operate with mercury discharge UV-lamps of 15 – 70 cm (6” – 27”) arc length. Dark phases during the zero axis known from standard, sinus shaped power supplies are eliminated by operating the lamps with a square-wave current. 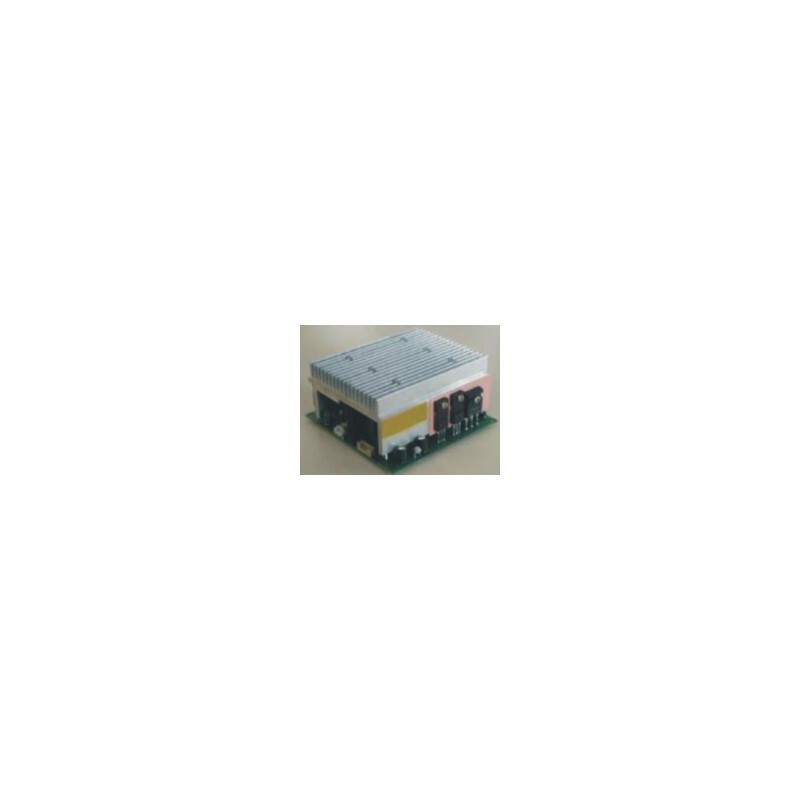 Principle of function of the electronic ballast unit EVG UV 26-70 AC is an adjustable constant current source in the range of 1,5 A to 15 A. The lamp power is regulated to a constant value by an internal regulation unit through an external DC 0 – 10 V rated value. The EVG UV 49-70 AC is a fully electronic, adjustable AC ballast unit for UV-lamps from approx. 4 kW – 9 kW nominal power and specially designed for industrial use. It is specially tuned to operate with mercury discharge UV-lamps of 15 – 70 cm (6” – 27”) arc length. Dark phases during the zero axis known from standard, sinus shaped power supplies are eliminated by operating the lamps with a square-wave current. Principle of function of the electronic ballast unit EVG UV 49-70 AC is an adjustable constant current source in the range of 2,2 A to 22 A. The lamp power is regulated to a constant value by an internal regulation unit through an external DC 0 – 10 V rated value. The EVG UV 62-70 AC is a fully electronic, adjustable AC ballast unit for UV-lamps from approx. 6 kW – 12 kW nominal power and specially designed for industrial use. It is specially tuned to operate with mercury discharge UV-lamps of 15 – 70 cm (6” – 27”) arc length. Dark phases during the zero axis known from standard, sinus shaped power supplies are eliminated by operating the lamps with a square-wave current. 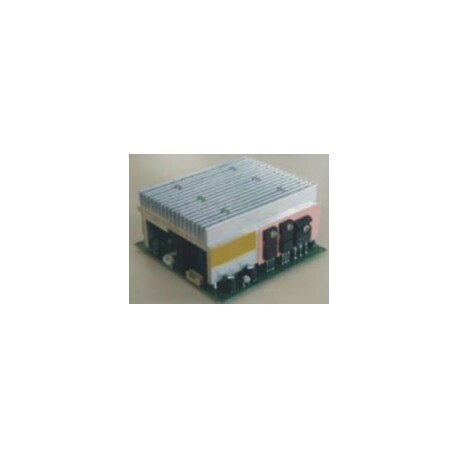 Principle of function of the electronic ballast unit EVG UV 62-70 AC is an adjustable constant current source in the range of 2,8 A to 28 A. The lamp power is regulated to a constant value by an internal regulation unit through an external DC 0 – 10 V rated value.